"know one's self, one's heart; to (get to) know another person's heart - to connect heart-to-heart"
A range of therapies are available in our treatment room. To book or enquire about a treatment or training course call John on 07966692857. The goal of Five Element acupuncture is to enhance personal alignment with what the ancient Taoists called the Laws of Nature. When living in accordance with these Laws, the health of the body, mind and spirit is supported. These Laws include the concepts of Qi, Yin-yang and the Five Elements, the three key components of traditional Chinese philosophy. Qi is described as the vital life force which animates all living things. In the Five Element system, Qi is defined as Energy which is conducted through the body in the meridian pathways which supplies the organs and the body, mind and spirit. When the Qi is balanced a person remains well, when imbalanced illness can occur. Aromatherapy is a form of alternative medicine that uses volatile plant materials, known as essential oils, and other aromatic compounds for the purpose of altering a person's mind, mood, cognitive function or health. Bowen Technique is a remedial, hands-on therapy that is applied using very gentle pressure. The practitioner uses thumbs and fingers on precise points of the body to perform Bowen’s unique sets of rolling-type moves which stimulate the muscles and soft tissue of the body. There is no manipulation or adjustment of hard tissue and no force is used. The experience of a treatment is gentle, subtle and relaxing. It is believed that the Bowen Technique prompts the body to reset, repair and balance itself and clients report the experience of pain relief, improvement of function and recovery of energy. Hot stone massage is a specialty massage where the therapist uses smooth, heated stones, either as an extension of their own hands, or by placing them on the body while they massage other parts of the body. The heat can be both deeply relaxing and help warm up tight muscles so the therapist can work more deeply, more quickly. Indian Head Massage is a deep style a massage derived from the Ayurvedic tradition that focuses on the head, shoulders and neck. Through a variety of different techniques, the massage works to release any blocked negative energy in the body that may be manifesting itself as disease or injury in any one of the seven Chakras (energy centres) of the body. It does so by applying pressure to certain points on the neck, shoulders and head that correspond to each Chakra (which is a similar approach to that of reflexology). Reflexology is a non-intrusive complementary health therapy, based on the theory that different points on the feet, lower leg, hands, face or ears correspond with different areas of the body. Reflexologists work holistically with their clients and aim to work alongside allopathic healthcare to promote better health for their clients. The practice of Reiki is an original method of healing, developed by Mikao Usui in Japan early in the 20th century, which is activated by intention. It works on every level, not just the physical. The Japanese word Reiki means ‘Universal Energy’. Eastern medicine has always recognised and worked with this energy, which flows through all living things and is vital to well-being. Known as ‘ki’ in Japan, ‘qi or chi’ in China and ‘prana’ in India. Acupuncture, Taiji and Yoga are also based on the free-flow of this energy in a person. 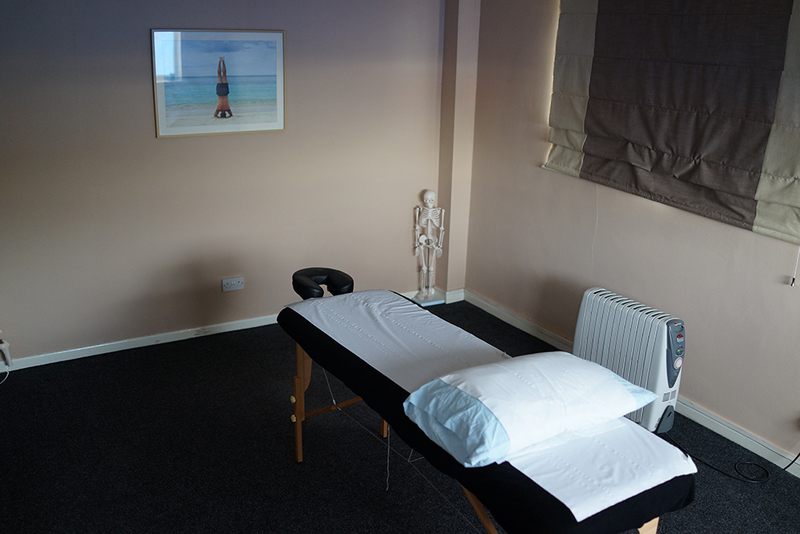 Sports massage is a type of massage that is specifically tailored to sporting injuries or ailments. It is not meant to be a relaxing massage and, indeed, can become quite vigorous at times. Contrary to its name, sports massage is not only utilised by professional sportspeople or people that exercise heavily. It is of benefit to anyone that exercises, even if it is only mild exercise such as regular walking. Swedish massage uses five styles of long, flowing strokes to massage. The five basic strokes are effleurage (sliding or gliding), petrissage (kneading), tapotement (rhythmic tapping), friction (cross fiber) and vibration/shaking. Swedish massage has shown to be helpful in reducing pain, joint stiffness, and improving function in patients with osteoarthritis. Prices given here are for group training. Please enquire if you require individual training.